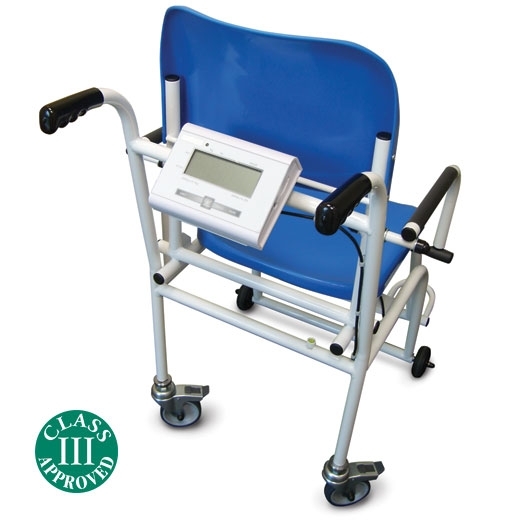 Chair Weighing Scales For Weight and Body Mass. Perhaps one of the first things that you’ll notice about these Marsden chair weighing scales, is how light and easy to move they are. With four wheels (two with brake to ensure stability when in use), this product has been designed to be practical, simple and easy to use. 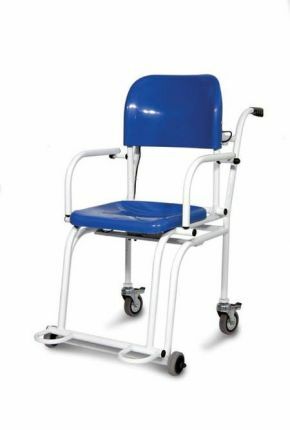 It has hinged armrests that allow easier patient / user transfer, and hinged footrests that make use more comfortable. And with an eye on safety and accident prevention, there is an optional seat belt or harness. But of course, while its reassuring to know that chair part of this product is up to scratch, you also need to know that the weighing scales are good enough too – and with its ability to measure both weight and body mass index (with a hold function), you won’t be disappointed.